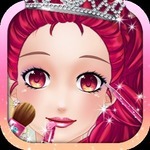 Princess Eye Makeup 2 is a typical girl game at gogy free online. 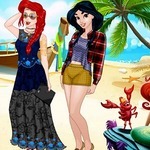 Like a competition for makeup artists, 4 princesses: Snow White, Jasmine, Jasmine, Aurora and Ariel are close friends and they help each other in the daily life. On the weekend, while they are chatting, they burst an idea. They are putting makeup on their face, especially, their eyes. Learn some effective beauty tips and let’s do this. Enjoy! Of course, it is about the makeup progress of Disney princesses. 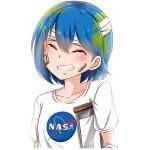 What will girls do? Princess Eye Makeup 2 of gogy won’t turn you down. They will select domestic products and do makeup. Just relax! 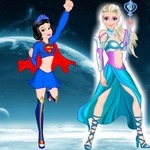 The first step, you will choose a random princess. In the game, you are just accountable for makeup and you aren’t responsible for choosing cloth items. Besides, you are offered many cosmetic products and tools. You have a kit of makeup tools. Firstly, apply pink eyeshadow on the eyelids, then apply gray eyeshadow on the layer of previous eyeshadow (The gray color just covers one part of that layer). 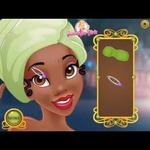 Draw black doodles to jazz up eyelids in gogy 2 Games for girls. Apply pastel eyeshadow on two layers, then use a small brush to sprinkle tiny lames on the eyelids. Use mascara to thicken and lengthen her eyelash. You finish making up for one princess, use red lipstick, she will love. And that’s all. 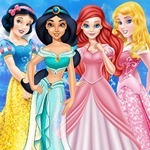 Similar, continue to do the makeover for 3 Princesses. Making up skill is improved through this game. 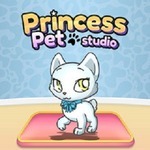 If you like this game type, you can play more related games such as Princess Prom Photoshoot. Rate them highly and share them with besties. Go to http://www.gogy2.xyz/. 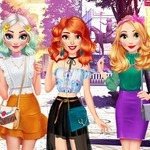 Write comments on this girl game.